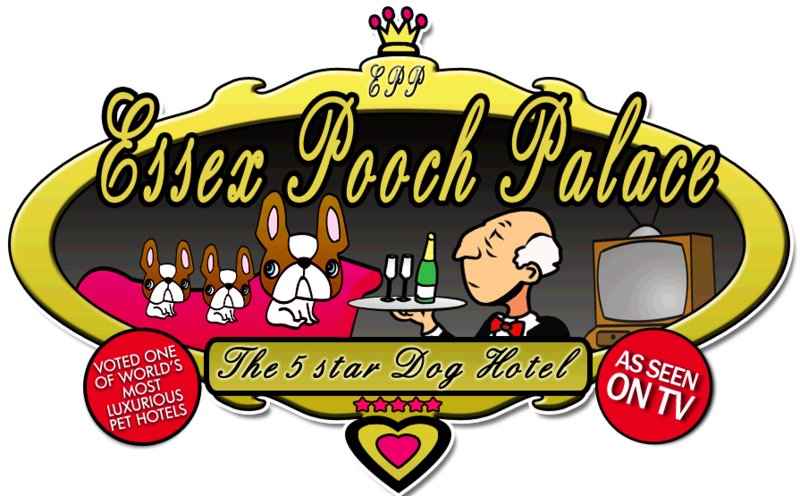 The Boarding Kennels your dog would choose - Essex Pooch Palace ! 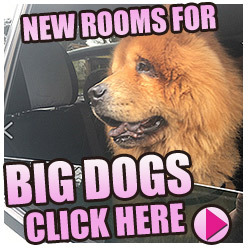 To book your dog in, or view us - email or phone us now! 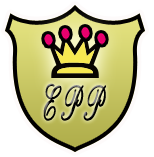 Essex Pooch Palace is a 5 Star Dog Boarding Kennels, Dog Spa and luxury Dog Boutique based in Essex. As a holiday is what we all work very hard for - It can also be a time for concern and worry about leaving our pets behind. Whilst some of us are lucky enough to have others that will look after our 4 legged friends while we are away - some of us have to find good quality, properly run boarding kennels which in itself can present a big problem. This is the very reason that I decided to setup 'Essex Pooch Palace' - because let's face it, whilst on our holidays the last thing we want to worry about is our beloved pets not enjoying their stay away from home. 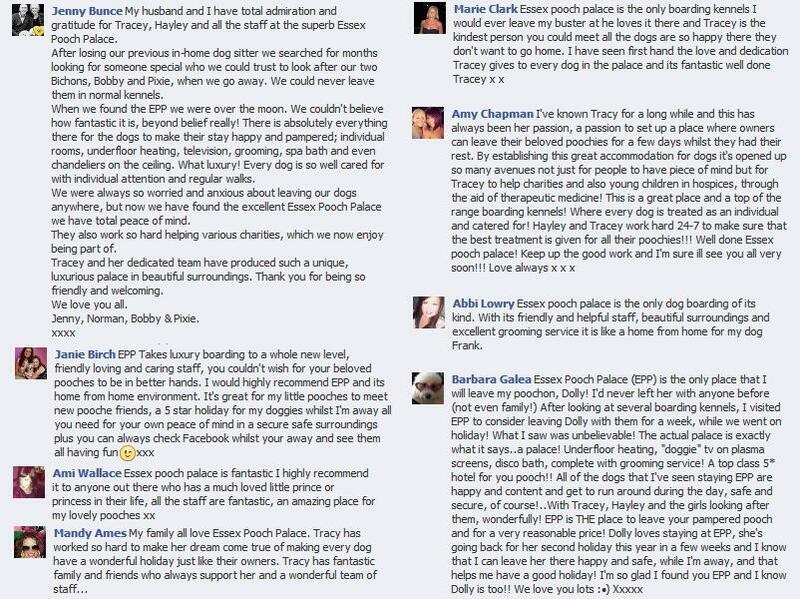 So you're probably wondering what's different about 'Essex Pooch Palace' - well here is what we can provide for your 4 legged babies! Our rooms are all tastefully decorated and fully central heated with sofas, chandeliers and television as standard. We only have 10 rooms available at any one time so we can devote more attention to our furry guests. 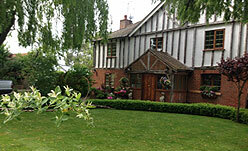 We provide daily walks on the private grounds of our Farm for exercise - and trips can be arranged to. Also pets can be groomed if required during their stay - only the best for our guests! 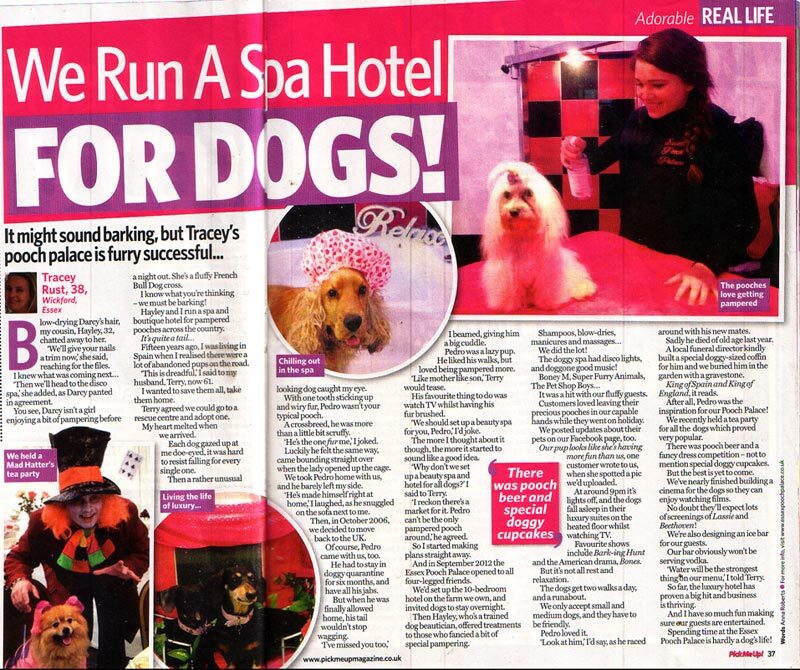 Contact us now to book in your pooch at our Palace ! 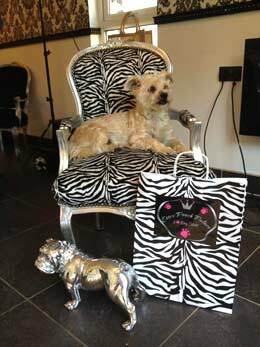 We are probably the most luxurious and caring kennels in Essex - but don't just take our word for it! Give us a call to make an appointment to come and see for yourself! 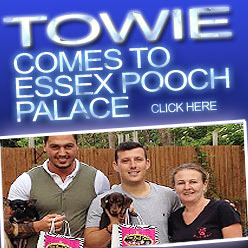 Essex Pooch Palace is for anyone looking for a great kennels in which to leave their dogs.